Texas hockey has ushered many talented and hard-working young women into notable NCAA Division I and Division III schools. 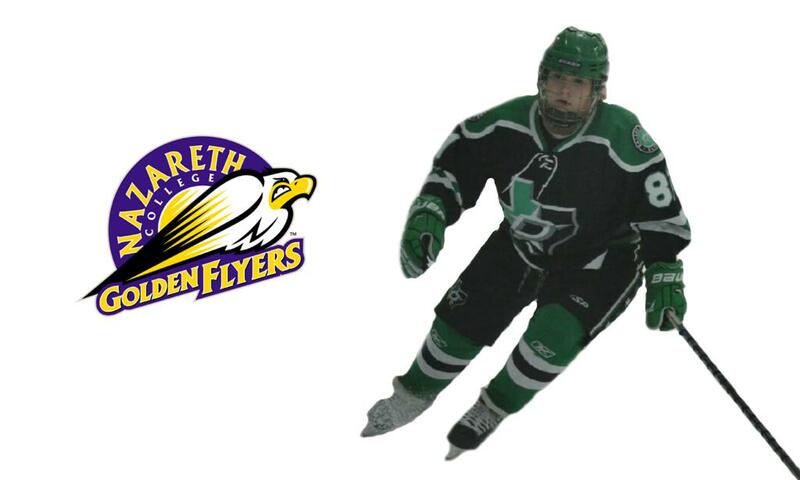 The Dallas Stars Elite are now adding another to that list and are pleased to announce that Rachel Rice, a center for the Dallas Stars Elite U19 Girls Tier 1 team, has committed to play for Nazareth College for the 2019-20 season. Nazareth College is an NCAA Division III school in Rochester, New York, and are helping to grow the game of Women’s Hockey. The new program hopes to compete for the NCAA Division III National Championship in the upcoming year and beyond. Rice, who in entering her 11th season playing hockey in Dallas/Ft. Worth and her fourth season playing girls hockey, aspires to be a role model for young girls in the sport and hopes to inspire more young girls to play hockey. The growth of the Dallas Stars Elite program has helped produce skilled girls and women’s programs with incredible results in major tournaments such as the CCM World Invite, RMD Tournament, CAN/AM, Detroit 2 Nations, and many more. The in-state opportunities for these young women to play against male teams also provides them with an enhanced chance to grow as players and enhance their game. "Rachel is a tremendous athlete overall who have shown a tenacity and work ethic that is unmatched. She is a great hockey player, student, teammate, and is very coachable. Rachel certainly deserves this as she has worked very hard for it. She is another great example of homegrown Dallas-area female hockey players who have flourished in the local DSE environment. I couldn’t be more proud of Rachel and this accomplishment,” said DSE Girls Hockey Director, Mike Salekin.